And somewhere soon after I discovered the "sidebar"
And the mixer moved to that side of the room. And the bigger rug definitely looks better! And Husband Jim still feels that it's a "tad" too high! 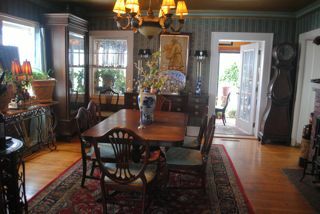 For the dining room really is the "soul" of the home! But that doesn't mean that it needs to be a complete redo. For, to me, the familiar is good! To eat and share conversations and ideas. 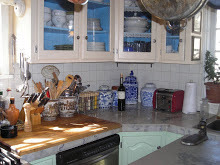 I'm using the two newest pictures of the kitchen and the dining room to update my sidebar -- it's about time! Would you wear the same dress for seven years? 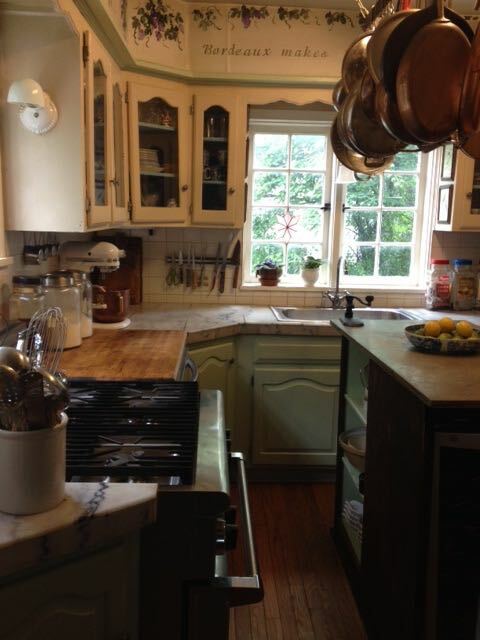 I adore your kitchen, dear friend!!! It is the first thing I noticed about Linderhof!!! 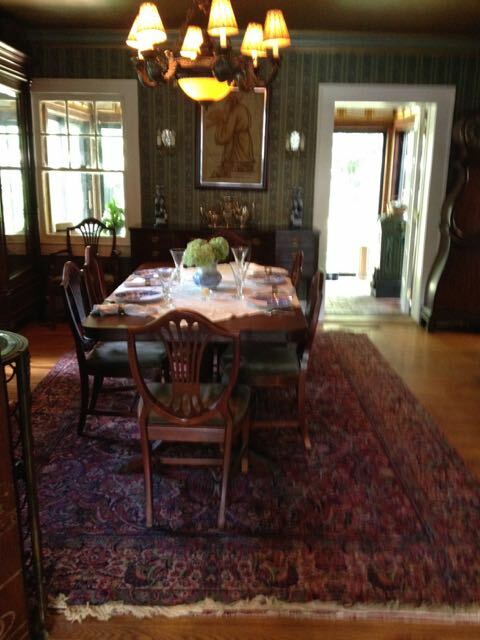 The Dining Room is gorgeous with the upholstered chairs and the larger rug!!! I "like" the changes you've made to the sidebar of your blog, as well, dear one!!! I am doing some of the same on my side of the Prairie. . .calling it 2015 Renewal!! !